Today we’re excited to announce a set of 4 new themes available for version 2.0 of our WP-EZ Website Builder. 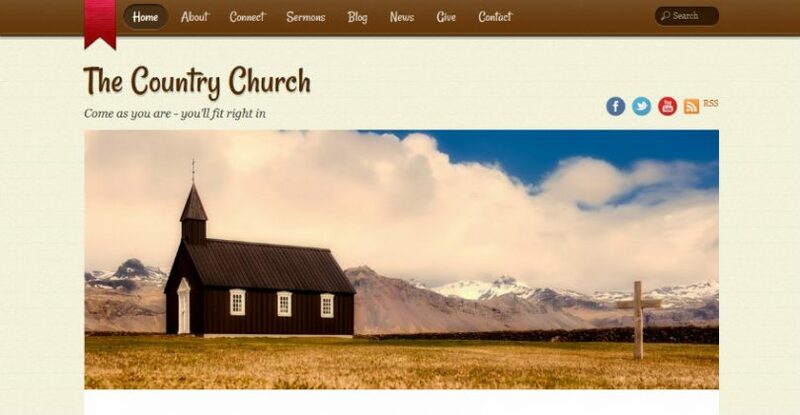 OurChurch.Com is blessed to serve a number of music ministries that travel around doing concerts and leading worship at conferences and church services. Since many of them are Gospel groups based in the South and Midwest, we decided to design the Country Ministry Theme specifically for music ministries. We also decided to create a special Country Business theme specifically designed for people who have some sort of a craft. If you do woodworking, make custom jewelry, sew handbags, create pottery, or sell anything else you create, this theme is a good fit for you. As with all WP-EZ 2.0 themes, each Country theme comes with 6-8 pre-installed page templates. Page templates have a beautiful layout and sample content specific to your type of organization. Instead of creating each page of your website from scratch, all you have to do with page templates is replace the text with your text and replace the images with your images and you have amazing web pages in no time! The new Traditional themes are only available in WP-EZ 2.0, and WP-EZ 2.0 is only available in our Gold web hosting package. To order Gold and build a new site, start here.